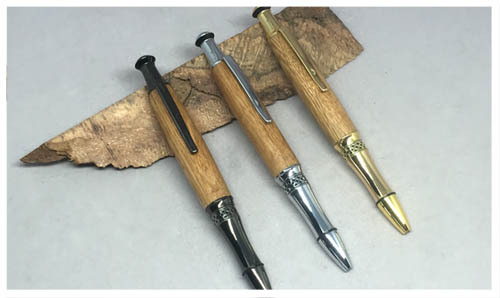 The Stratus style pen has just enough flash to make a statement, and a comfortable grip curve. Twist at the middle to extend and retract the ink. 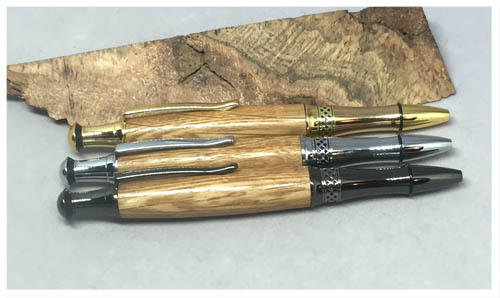 The long barrel of this pen allows for more of the bourbon barrel to be shown off! This pen uses a Parker style refill, available below and at most office supply stores. 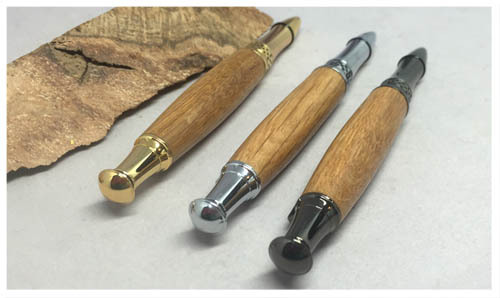 Available in gunmetal, chrome, or gold hardware, and your choice of wood "flavor."